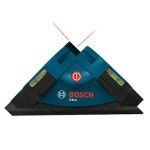 So you need the Best Laser Level!! Then we don’t have to tell you that a laser level is a top-drawer construction tool. A laser level gives you a degree of precision not available with the naked eye, allowing an accurate alignment for your project. This best Laser level guide is for smart construction enthusiasts who have come into the understanding that not all laser tools are created equal, and that one can’t just grab any level and get started. 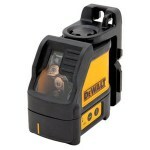 Familiarize yourself with lasers from top brands, such as Dewalt, TopCon, Bosch, and Stanley. Once you’ve found something you think will work, click on “Shop Amazon” or “Check Amazon Price” links that appear on product descriptions. 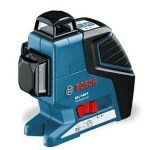 Here are some of the biggest factors in selecting the perfect laser level. 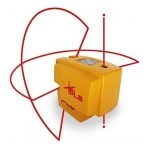 The accuracy of a laser level is measured and expressed in fractions of an inch at a particular distance. For example, you’ll see a level listed at ¼-in @ 50 feet. Try to get as close to 1/8-in at as great a distance (such as 100 feet) as possible. Now, this degree of accuracy is imperceptible to the naked eye, and it’s where laser levels become worth their price tag. The laser creates a concentrated beam of light to create such an accurate level. Self-leveling motors within the laser increase this effect. Any product description worth its salt will list the accuracy numbers, and it’s one of the first places to look. 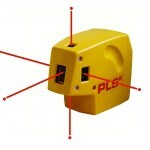 Never pick a laser level (no matter how inexpensive) without considering the degree of accuracy. There are a couple of types of leveling available, manual and self-leveling. These are both pretty much self-explanatory, the first requiring hands on work from the user, with the chance of human error, and the latter saving some work and entrusting the machine completely. One thing to be aware of is that some levels will give you only one of these options. This means, of course, that you’d be locked into that type of leveling, and if you find out that this isn’t the right style for you, you’re either out a lot of money or into some irritation. Therefore, look for one of the high-end models that gives you both options. Many users find the need to switch back and forth, so going with multiple leveling options may be worth it. Not all laser beams are created equal. Some are faint enough that they’re visible mostly in low lighting. Well, low lighting isn’t a great construction environment, right? Therefore, going for high visibility is key. Cross-line lasers tend to work best, and product descriptions list the maximum visibility of beams. There shouldn’t be any reason to go under 100 feet, while 165 tends to be the maximum. Beams will come in either green or red. While it’s debatable which is better than the other (or if either is), green tends to be more visible for indoor construction. 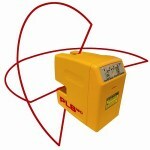 Laser levels are generally run on battery power. This is a bit unfortunate, since they are juice guzzlers. Or at least they can be. If you do your shopping wisely, you can find some high-end laser levels that built to conserve battery power. These levels will allow you to get the job done without having to take a break for charging. 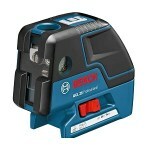 Any product description of levels will give you the range of the laser. Now, this is not the accuracy number, but a number of how far that laser will create a level line. You’re looking for a level with a range of a good 100 feet, and longer if available. Naturally, outdoor construction will call for the longest possible range. 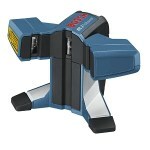 While a laser level doesn’t take as much of a beating as other tools, it is susceptible to getting banged around a bit, plus crashing to the ground. Further, the rotor or other internal parts can get worn or roughed up. The rotor is the most important internal part, since it is what makes the laser rotate. It is supported by bearings, and usually is housed in a small cage. Some brands of laser level use a “hard hat” design, meaning a thick and large plastic casing around the rotor to protect it. This is absolutely something to look into. In general, any element of a rugged construction that you can find will be very beneficial to you. OK. We’ve established that the laser rotates at blinding speeds to make the magic happen. In addition to being rugged, the rotor must generate high speeds of rotation. The rotation determines the visibility of the beam. In outdoor situations, you want as fast a rotation as possible. Indoor construction may benefit from a slightly slower rotation, since a speed that is too high can actually cut down on the visibility of the beam. Now, one wrinkle to keep in mind is that many of the best levels offer multiple speeds. This might be the way to go, allowing yourself to toggle back and forth depending on your needs at a particular time. 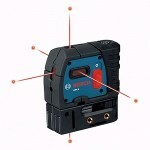 As with any industry, the laser level field has industry ratings. The main rating for quality is called the IP rating—looking at this rating will take you right to the bottom line. The factors that go into an IP rating include the tool’s durability in the face of dust, water, and other elements. For example, levels suited for outdoor work are judged heavily on water resistance. IP67 is the highest rating—be sure to take this all-important number into consideration when shopping for a laser level. Mounting threads allow the laser level to be mounted on walls tripods, rails, and so on. You don’t want your construction product to partially tank due to the limitations of your level. As with some of the other components discussed, having options is important. Now, you can decide for yourself how important mounting is compared to some of the other factors, but not being able to use your level the way you want will be frustrating. So you should give yourself several mounting threads, even if you don’t choose a level for threads at the expense of other factors. You’ve seen me say plenty of times that X or Y aren’t all created equal. Another good example would be the way a laser level installs. Unlike a small book shelf or a spark plug, you can’t say there’s one way or degree of difficulty with which a laser level installs. Some of them are a bit more pre-fabricated with installation much simpler. Some leave a lot of options more up to the user and give the user a lot more responsibility. Other levels are fitted with user-friendly controls and displays, etc. I think with this one, you really have to go with your gut. If some of the features you want are available only in one that’s tough to install, you may have to go that way. But if you know that a tough installation will just drag you down, this may become a bigger factor. No one can decide this but you. Now, this isn’t yet another Star Wars movie. You’re up against a little construction project, not the entire dark side. For this reason, you don’t want a laser level that is in any way unsafe. One of the ways in which a laser level can be unsafe is if it is too hot. Now, we don’t mean to scare anyone, but it happens to be true that laser levels can burn skin and even clothes. Some eye damage or other damage to people near the laser is a possibility. This is where not going overboard and not going for more power than you really need is important. 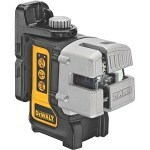 Is the price of your laser level at all important? Well, you tell me. One thing about the laser level is… it has the word “laser” in it. It’s easy to come down with a case of “wow, cool” and just assume that if you’re going to buy something so extravagant, you’re going to spend a lot of money. You know the mindset I mean. Just because you’re buying a high-end item, doesn’t mean you’re outside the realm of comparison shopping. In the laser situation, you can still put on your bargain-hunting hat and comparison shop. This means making sure you don’t pay too much for some of the particular features I’ve been discussing and it also means going to various websites or stores looking for a particular laser level. There are some that are a bit more affordable than others. Be sure to find the features you need, but not the features you don’t. Don’t pay extra for extraneous features. We’ve learned how specific laser levels are. They absolutely excel at various tasks. It’s very important for you to understand the chief purpose of the level you’re buying. No matter how good it is, if it’s more outdoor and you need indoor, if it doesn’t have the right range, etc., you’ll have a huge case of buyer’s remorse. Too many features—Sometimes the home construction ace overthinks it. The projects he’s interested in aren’t necessarily all that complex. This means that he may buy a level with just too many features.. If the laser tool will be used for the same tasks over and over, too many features may lead to confusion or to paying too much. Incorrect leveling pattern- Here’s one specific limitation or specification of laser levels is the leveling pattern. A pattern can be horizontal or vertical. Well, specific construction projects do too. You have to have that straight—are you looking for horizontal, vertical, or a grading pattern? If your construction project calls for one sort of grading pattern and your laser level has another, you’ve got a problem. This one sometimes falls through the cracks. Green beams are more visible indoors, but not outdoors. If you get a green beam for outdoor work, you’ll have to spring a extra for a device called a laser detector. While beam color seems like some sort of formality, it’s actually indispensable. So, be sure to determine if you’re going to be doing indoor or outdoor construction, which then determines the light color. Earlier, I talked about mounting options, and this is a common mistakes that trips people up. For example, if you purchase a level that can be mounted only on iron, you’re going to find yourself largely out of options. Further, if you buy a type of level that can’t be used with tripods or other accessories, you’re limiting yourself. Now, one can go without some of these options, particularly in the name of economy, but it’s hard to know all the projects you’ll have to do in the near future, so you may end up denying yourself and being frustrated. One of the main factors that will determine the type of laser level you’ll need is just how deep into construction projects you are. Infrequent use in well-defined situations may call for a level with lesser options, while a bigger enthusiast will need to spring for a more versatile level. Without a doubt, this is a project that calls for the proper research.